Robert Bosch plans to leverage its dominant market position in combustion engine technology to become the leading supplier of zero-emissions solutions for electric vehicle manufacturers. The world's largest supplier has earmarked investments in electromobility of about 400 million euros a year. It may also compete with Asian heavyweights Panasonic, LG Chem and Samsung by industrializing the assembly of battery cells. "We are the No. 1 in the market for combustion engine systems and we aim for this spot as a supplier for electromobility," Bosch CEO Volkmar Denner told reporters in Stuttgart last month. Although Bosch estimates that about 85 million cars built in 2025 will still run solely on fossil fuels, it believes nearly 20 million will be either hybrids or electric vehicles by that year. To tap into that future demand, Bosch's automotive arm plans to form a separate business unit for electromobility within its newly created Powertrain Solutions division. 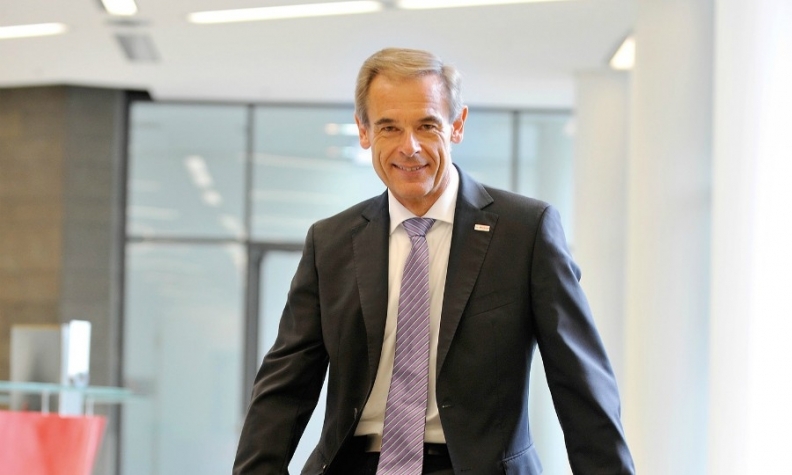 Bosch aims to have 88,000 employees developing propulsion technology starting next year. By then, Denner hopes to decide whether to invest in the mass production of battery cells, a risky undertaking especially if a company bets on the wrong chemistry. Bosch's new electromobility unit will follow a two-track strategy. The supplier wants to boost system efficiency through measures such as integrating the transmission, power electronics and electric motor directly within a vehicle's axle. Bosch also aims, however, to improve battery performance at the cell-chemistry level and is investing in both liquid and solid state cells with the ultimate goal of doubling the energy density of a battery by 2020. In 2015, the Stuttgart-based supplier acquired SEEO, a U.S. specialist in solid-state cells. Bosch believes the technology offers a higher degree of safety. In the event of an accident, battery cells that utilize liquid electrolytes to transport energy-carrying ions can be damaged and cause a leak. Once the chemical reaction is no longer under control, the heat generated can feed upon itself, triggering a chain reaction that results in an explosion. "If you can eliminate electrolytes as a source of thermal runaway, you can apply more aggressive cell chemistry," Denner said. "The problem with solid state cells, however, is that they do not conduct electricity as well."